Sport Specificity Training is an essential component to high school and collegiate sports. While most strength coaches will implement several concepts such as barbell movements, plyometrics, and calisthenics to attempt to improve athlete development for their respective sports, some tools can be overlooked. In this article, we make the case for sandbag training as a tool that provides unique benefits for high school and college age athletes. While few coaches disagree that most training concepts are effective, coaches must choose which ones to implement based on certain considerations. For example, the ability to be fast, change direction, and accelerate and decelerate is a necessity that is typically universal to all sports. There are several tools that can be used to accomplish this, but not all are effective for several reasons, one of which is the learning curve. Some athletes may take longer to teach and therefore take a while to work up to sets where there is a significant amount of load to create that conditioned adaptive response (commons examples include Olympics movements). Young athletes also sometimes get tired or bored from the constant repetition and patience it takes to learn high-level movements. Some coaches would just rather not risk injury and decide the risk outweighs the reward. This is precisely where the acute variables and the accessory lifts play a very significant role and you can have your best of both worlds. Implementing the proper accessory lifts and equipment will allow the athlete to learn but also create that training stimulus to incite growth. The sandbag is a staple in my programming because of its low-risk for injury and the fun factor it provides with young athletes. 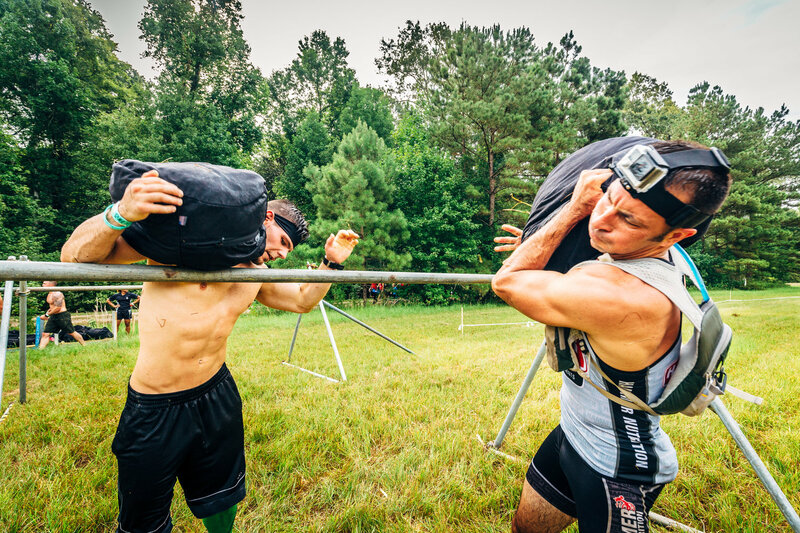 The sandbag allows athletes to utilize triple extension, explosiveness, and pure grit. If the athlete's technique breaks down, there is less risk of injury because of its low impact. Furthermore, the sandbag allows the coach to teach movements you would find in your typical barbell movements without allowing the athlete to not be under as much stress. The instability of sand shifting will also allow for core strength development, as well as challenge the athlete mentally. A pink sandbag loaded up to 75 pounds does not look as heavy as it is; athletes will approach the bag with great confidence (the color is deceiving) but after a few drills, that athlete is quickly humbled. The sandbag also gives the coaches a different training apparatus to teach Olympic weightlifting. Weightlifting has several main principles that vary among coaches, but the few that are staples in weightlifting are triple extension, bar path and bar trajectory, and positioning. The sandbag assists the coach in teaching triple extension, and explosiveness without being solely focused on technique and repetition. The sandbag allows the coach to create a conditioned adaptive response and training stimulus without either boring the athlete with the movement pattern or not allowing for a stimulus to occur. Also, there are athletes with movement deficiencies that either lack flexibility or mobility to manipulate the barbell into the proper positioning to execute the olympic lifts efficiently. This is where the sandbag can be a very useful tool. Athletes that are unable to get their elbows high enough to establish a proper front rack position in the clean or press can use the sandbag instead to work on the other acute variables of the lifts. Last, parents will be much more open to having their kids workout with a sandbag at higher loads at home without supervision than with a barbell. 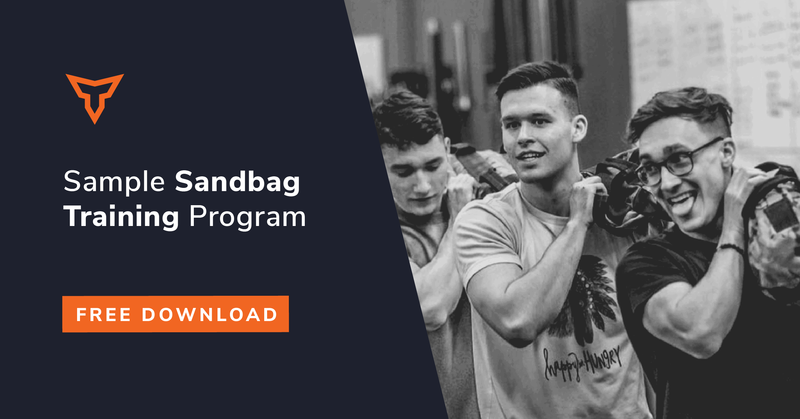 The sandbag can be used anywhere, and it gives the coaches some peace of mind when programming home workouts that their athlete’s risk for injury is now lower because of the tool being used. From a psyche standpoint, the sandbag gives the athlete an attainable measurable goal, instead of simply increasing weights. An athlete’s mental approach to his/her workout is just as important to the actual workout, so any type of advantage will only help. At our facility, we also implement the sandbag at the end of workouts for accessory, conditioning, or even as a cool down. The sandbag adds a loading element without taxing the CNS like a barbell would. The option to load athletes while working on proprioception without worrying about injury due to impact is life saver. For example, using the “Bear Complex” with the sandbag has a much less risk for injury then with a barbell. Furthermore, time is will not be such a factor because the technique and learning process will be quicker. The versatility of the sandbag allows for an array of movements while covering several acute variables. 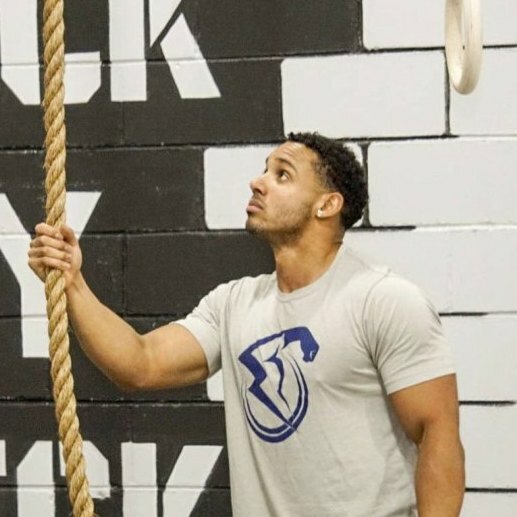 A program that combines both barbell loading and sandbag loading to train overall axial loading will help athletes reach their optimal performance without taxing the central nervous system (CNS) too much. Some of the strongest athletes on the planet are hammer throwers, shot putters, and javelin athletes. Throwing allows athletes to increase rate coding, force production, and speed of muscle recruitment. Sandbags enable the use of throws and hip tosses which is sometimes tough to implement in a high school and college setting. If cued properly, hip extension, and triple extension can be utilized with the different throws. Rotational tosses, as well as linear stance throws with a sandbag allows for a multi-planar training protocol as well.